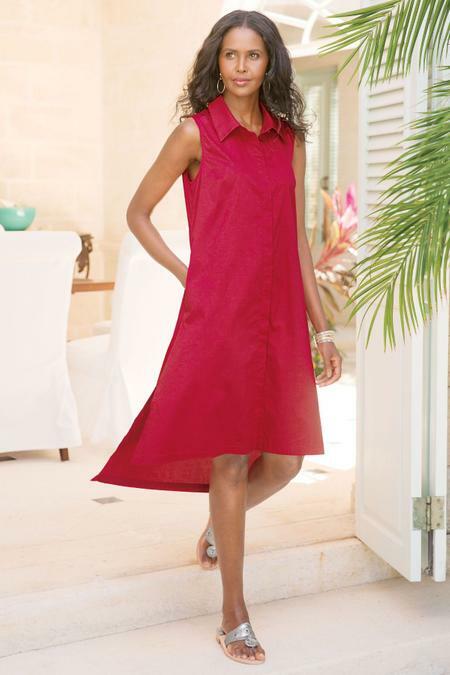 It's the classic crisp shirtdress, designed for cool summer ease as a one-piece outfit. A mesh back yoke adds a fresh twist, reaching onto the shoulder tops; refined tailoring details include a hidden-placket button front and side-slit high-low hem. Cotton/spandex; poly. Misses 39-1/2"/45" long.